When my teenage daughter told me she needed a poodle skirt for their 50s themed sock hop dance at school, I set off to look for patterns on how to help my daughter make her own poodle skirt. There were several additional benefits to having her make the skirt herself. First she would get to do applied math, looking at calculating out the radius based on the circumference of a circle. She would (hopefully) have the satisfaction of making her own skirt and it would be way cheaper (pulling from my fabric stash) and better made than going out and buying a skirt. 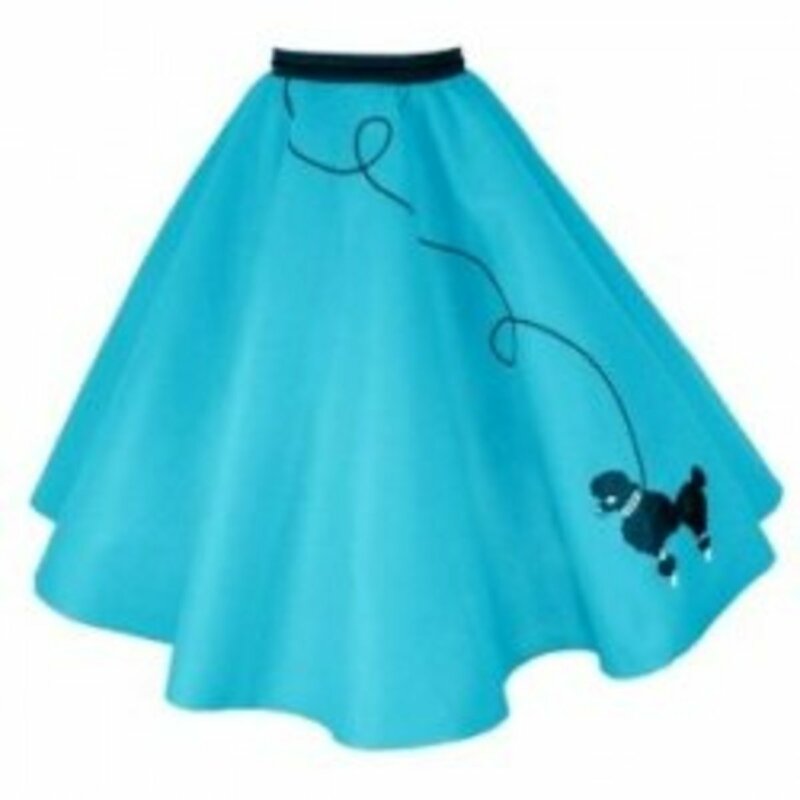 The poodle skirt is just a basic circle skirt make from felt which has an applique poodle in the front. I realize it would be a pretty simple pattern for my daughter to make herself so we drafted our own DIY pattern. What you see here is the research I did to figure out our own pattern, how you can make your own free pattern and the step by step process we when through to make a 50's style circle skirt, complete with making our own felt iron-on poodle applique. I've also included what I could find about the history of the poodle skirt, since I am not old enough to have ever worn one. Ready to make your own poodle skirt? This sock hop outfit is very similar to the type of outfit we designed for my daughter except we used a white poodle. To get an idea of how to make a simple circle skirt, I started by watching Martha Stewart crafts. Watch Martha Stewart and Lea Rose show how to make a Poodle Skirt in this video tutorial. Read the tutorial from the video in which Lela Rose shows Martha how to sews a modern version of the classic 1950s poodle skirt. 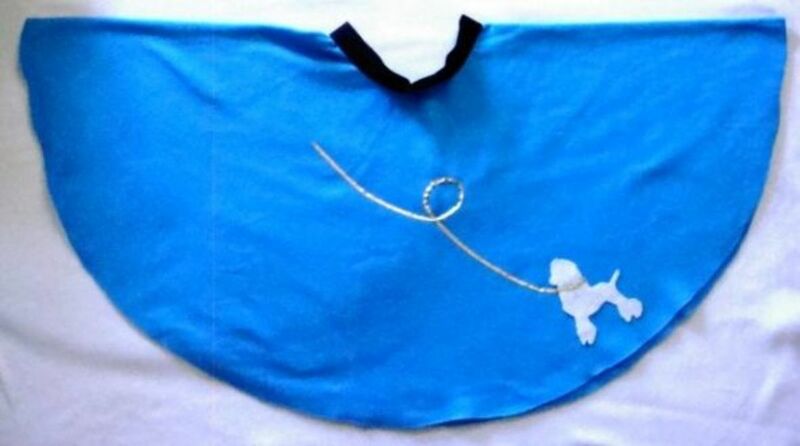 PDF File of the dog silhouette applique used for the Martha Stewart updated poodle skirt. Who are you making a poodle skirt for? I'm not making one. I'm just looking. I'm here for the circle math. Circle Skirt Pattern © 2013 by Kirsti A. Dyer. Making your own circle skirt pattern is pretty easy. You need to figure out how long to make the skirt. Measure from the waist to where you want the skirt to hit, like the knee. Somewhere between 22 - 25 is good for teens. Children need a shorter skirt. 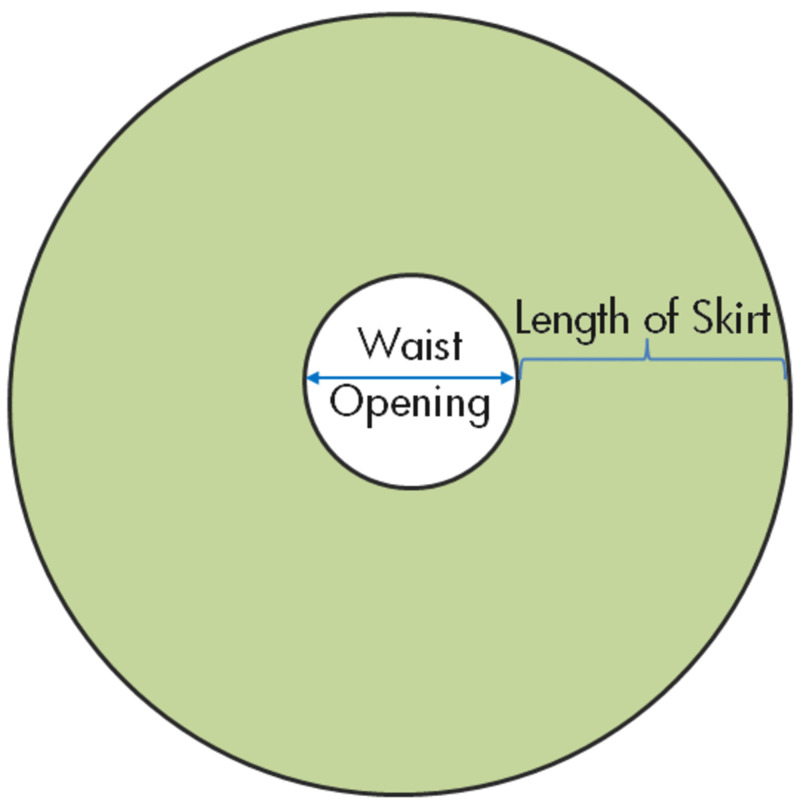 To calculate out the inner circle, (where the waist will fit) you need to do some circle skirt math. See the video clips and modules below to figure out the waist measurement and then how to convert this into the radius of the circle if cutting 1/4 of the pattern as seen in the image to the right. Starting at the upper right corner (where the * is located) measure out the measurements and mark where to cut for the inner circle (waist hole) and the skirt length. You can use a pencil and string or just do what I did and use your tape measure, measuring out the same measurement (radius or skirt length). 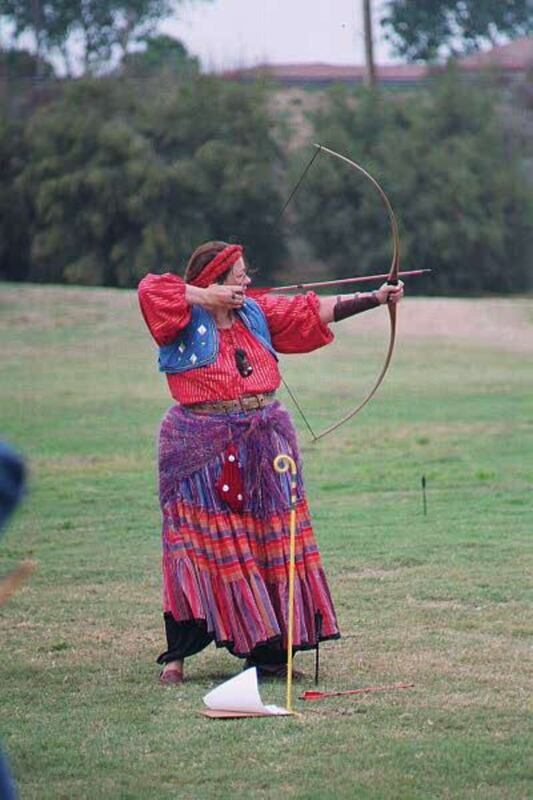 Once you have your skirt measured out you can cut out the two circles to make the large donut circle seen above. To calculate out how much fabric you need to purchase (or find from your fabric stash in my case) simply double the length of the fabric. 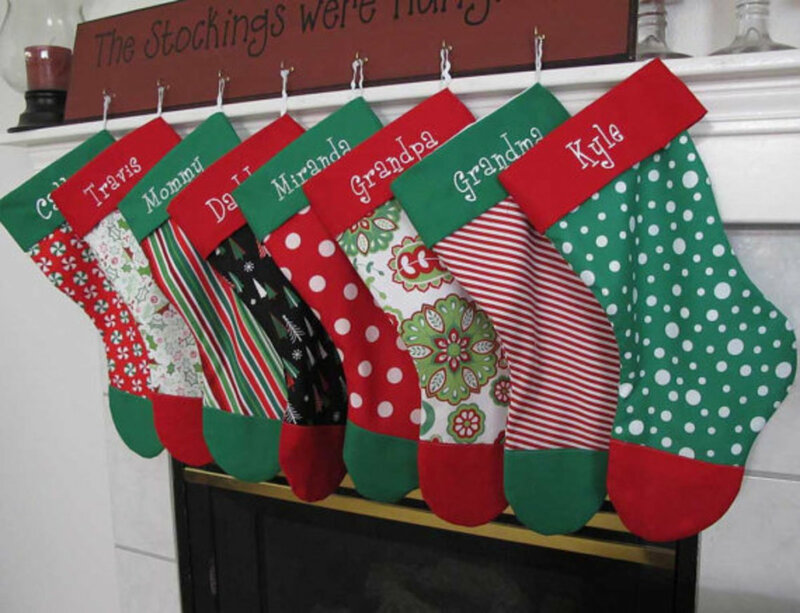 Working with felt and fleece have another advantage in that the fabrics are 54 to 60 inches so you can easily cut a circle out of one piece of fabric. To figure out what I needed for my 13-year-old daughter's skirt we added the numbers for the inner circle with the length of the overall skirt and then doubled it. Then to convert the inches into yards, divide by 36. In our case we needed 1 1/2 to 1 5/8 yards. The piece of blue fleece I had was 1.5 yards (with a little over which is how many stores used to cut fabric). For babies and smaller children it will be easier to make a skirt out of much less fabric, since you could cut a second piece from the other side and then sew the two half circles together. Jen on the Praiseworthy blog shows how she made a 9 in long poodle skirt in sections for her baby daughter. Learn how to calculate the numbers needed to make a circle skirt in this excellent tutorial from fettuccinetube. Many people feel a bit intimidated making circle skirts because they don't want to calculate the math of the circles and have to remember some basic circle formulas. The good news is that you only have to calculate the inner circle. The outer circle can be easily measured without calculations. Calculating the inner circle (the waist opening) for a circle skirt is pretty easy if you just remember a few basic formulas. The circumference or the distance around the outside of the circle is the length of the waist or torso you are trying to make the skirt for plus a little bit more (1.5 to 2 inches for comfort). Flipping the equation around, since we need to find the radius we take the circumference or waist measurement and divide by 2xπ or 6.28. To find the radius of a 25 inch waist (+ 2 inches for comfort) you would diving 27/6.28 = 4.3 or 4 3/8 inches. The radius becomes the measurement for the inner circle in the diagram above. Circle Math © 2013 by Kirsti A. Dyer. If you don't want to make your own poodle skirt pattern, you can buy one to get started. Here are some of the circle skirt patterns that can be found on Amazon. Pick your favorite pattern. Poodle skirt pattern for women and girls. Great pattern if you have a mother daughter sock hop (or you want to dress up when chaperoning). You can also find poodle skirt patterns on eBay. 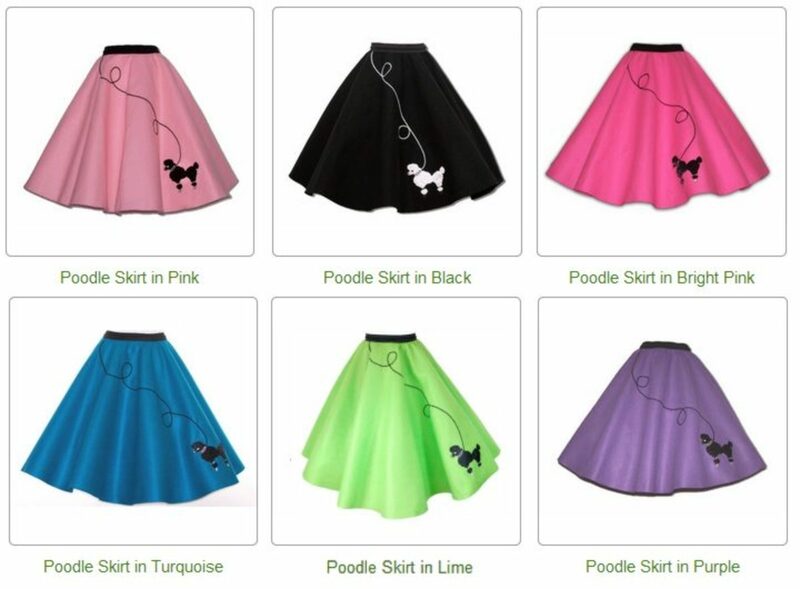 Just some of the color combinations of skirts available on Amazon to used inspire your own poodle skirt designs. After calculating out the inner circle numbers I used some packaging paper to make a pattern piece that was 1/4 of a circle. With a 25 inch waistline and wanting a 22 inch long skirt we did the first or the inner circle at 6 3/8 inches. The second larger circle was drawn out 22 inches from the first one. Starting at the upper right corner I measured and marked 6 3/8 inches in several spots and then free hand with a pencil drew an arch to join them together for the inner circle. For the larger outer circle or the skirt length I measured out 22 inches with a tape measure and marked several spots, then with a pencil free hand drew a line to join the marks for the outer circle. Once cut we took the large felt donut and made sure my daughter could get it over her head. Since I was cutting through 4 layers of fabric (folded in 1/2, then in 1/2 again) it was a little challenging, but definitely faster than having to cut out larger half circle. Cutting blue circle skirt © 2013 by Kirsti A. Dyer. Felt and fleece fabrics are really good choices because you can cut them out and not worry about having to add a hem. Just be sure when you are cutting that you cut in a nice straight and even line. Pink, black and baby blue are the more traditional color choices, but since you will be making your own skirt, you can choose any color that you would like. These are just some of the felt color choices available on Amazon if you can't find any locally. My daughter wanted to buy a poodle applique, but since we had so much felt around, I figured we could easily make one using one of the many different poodle silhouettes available online. I found several poodle silhouettes and she picked one from the Freeapplique website. 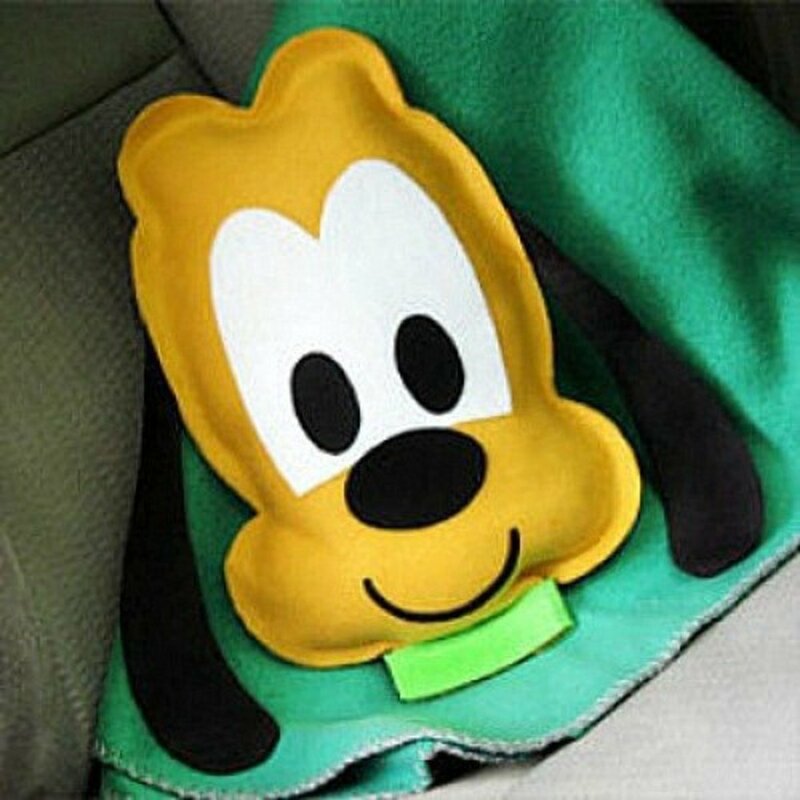 I thought one from the Custom Canine Creations might be easier to cut out because it didn't have as many curves in the outline. We printed out the poodle pattern at a size she was happy with and then cut out the poodle from white felt, so it would have a good contrast to the blue fabric. Using Stitch Witchery between the cut out felt poodle and the felt skirt, the poodle applique was ironed on in minutes. Be sure to be careful ironing on and keep applying pressure, but keep the iron moving when ironing. We had a bit of the poodle get a touch singed when ironing. We used double stick tape to tape on the ribbon leash, which was really fast. If you needed to have the skirt last longer, then it would make more sense to stitch the ribbon in place to the skirt. If you want your poodle skirt to last for a while, then you may want to stitch your poodle applique in place or use stronger fusible interfacing cut out in the shape of the applique. Since we were using the skirts for personal use and not to sell, I wasn't too concerned about copyright issues. Cutting felt poodle applique © 2013 by Kirsti A. Dyer. Free dog patterns to use as applique patterns, quilt patterns or clipart. Also a poodle skirt pattern. 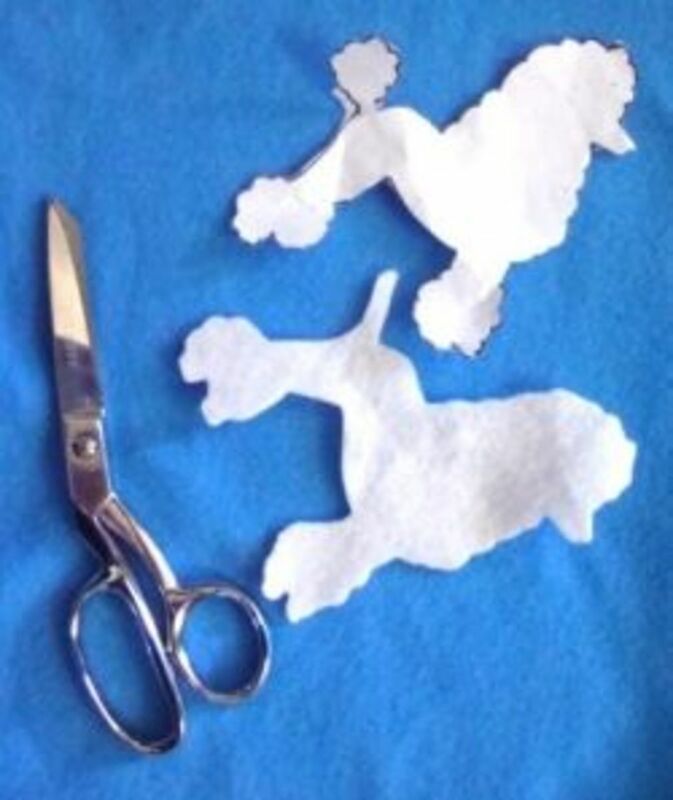 This page includes three different Poodle Silhouettes that can be used for appliques. The Black Toy Poodle Silhouette image used to create these stickers can be turned into a poodle applique. Search Pinterest for all of the Poodle Silhouettes that have been pinned. This page Dog Silhouette has lots of black and white silhouette graphics of different types of dogs. If you'd rather buy an applique than make one, here are some fun poodles in pink to consider (or use as inspiration for making your own). Black poodles or white poodles are two other applique options when making poodle skirts. They also make for good design inspirations. Simplicity Black Poodle Dog Applique Clothing Iron On Patch, 6" x 6.25"
Simplicity White Poodle Dog Applique Clothing Iron On Patch, 6" x 6.25"
Use 2 inch elastic for the waistband to sew to top of the skirt. The double back tape made adding the ribbon leash very easy. We added on the ribbon leash, without needing to stitch anything or iron it on. Final blue poodle skirt © 2013 by Kirsti A. Dyer. Now that you have your materials, supplies and pattern lets get started making the circle skirt. I looked for the fastest ways of putting a circle skirt together with the least amount of sewing. This pattern requires that you sew on an elastic waistband, a bit of sewing, but much faster than doing a traditional waistband with a zipper. Cutting the skirt is one of the more time consuming parts. 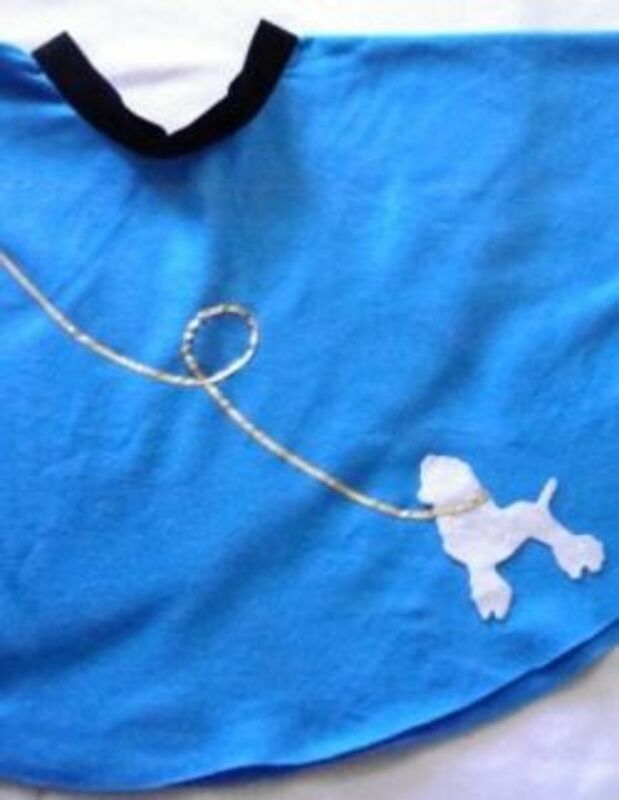 After the skirt is cut you sew on an elastic waistband and then iron on the poodle and his or her leash. That's all it takes. 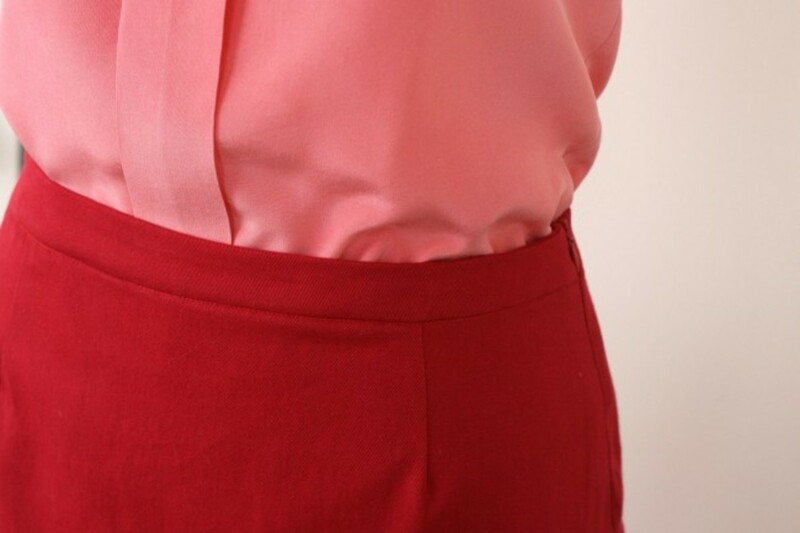 Since the skirt is cut from felt or fleece, which doesn't ravel you can leave the skirt unhemmed. For those who like being able to check off their progress working on a project I've listed out the steps below. A circle skirt can easily be made in an hour or less, especially if you already have a pattern, so you don't have to stop and do the math calculations. Determine the amount of fabric needed and other skirt supplies like elastic waistband and fusible interfacing. Make or buy a circle skirt pattern. Cut out your circle skirt. Try it on to make sure it will go over the wear's head or hips. Sew the ends of the elastic waistband together and then to the top of the skirt. Choose or make your applique design. Iron-on the applique to the skirt. Tape or iron-on the leash to the skirt and any other embellishments (like a collar). Try on and admire the skirt. Here are some of the other style options (no sew to zippers and fabric waistbands) and the better directions that I found when researching how to make a Poodle skirt or circle skirt. 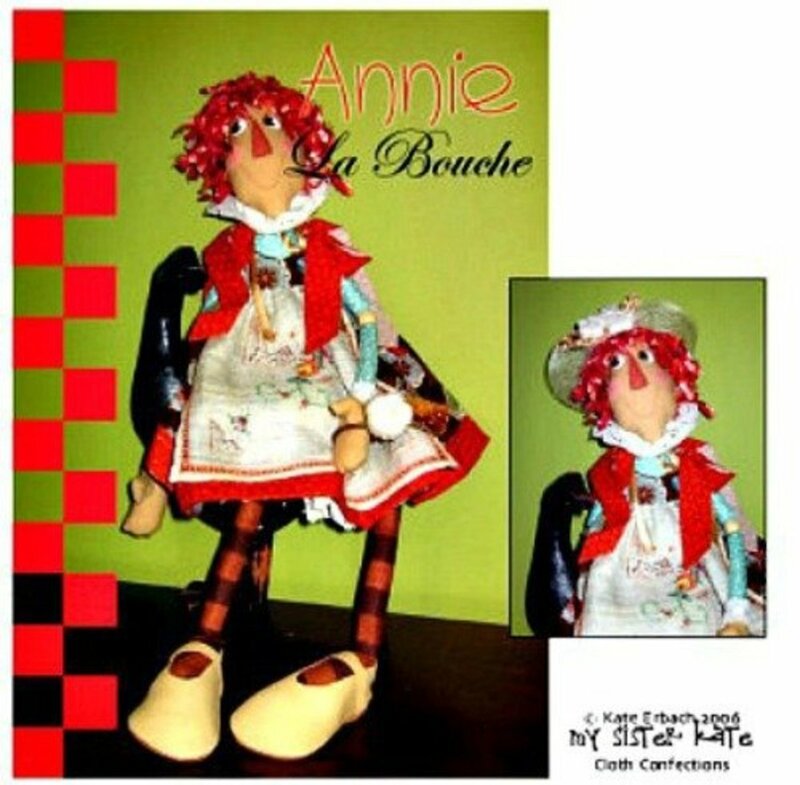 Non sewers may want to look at obSEUSSed blog post with her NO-SEW version of making a poodle skirt. Prudent Baby shares a tutorial for a baby poodle skirt and more help with figuring out the DIY pattern calculations for cutting the circles. Jillify It shares her super quick way to make a poodle skirt for 50s parties or Halloween costumes. In this excellent tutorial for making a circle skirt, Dana shares how to make a circle skirt including why she now thingks the circle skirt may be the easiest skirt to sew especially if you leave a colorful elastic waistband exposed. Topsy Turvy shares her Poodle-skirt tutorial for a pretty simple costume to make from felt. Check out her Pig applique. This pattern from Praiseworthy was inspired by her church's 50's sock hop dance. The skirt can be adjusted for girls of any age and size...it's all about the measurements. A fun and creative poodle skirt upcycled from a t-shirt knit top sheet and embellished with scraps of fabric, cut up old t-shirts, ribbons, beads and buttons. It's easy, to "Make Poodle Skirt", and there's only 3 pattern pieces. 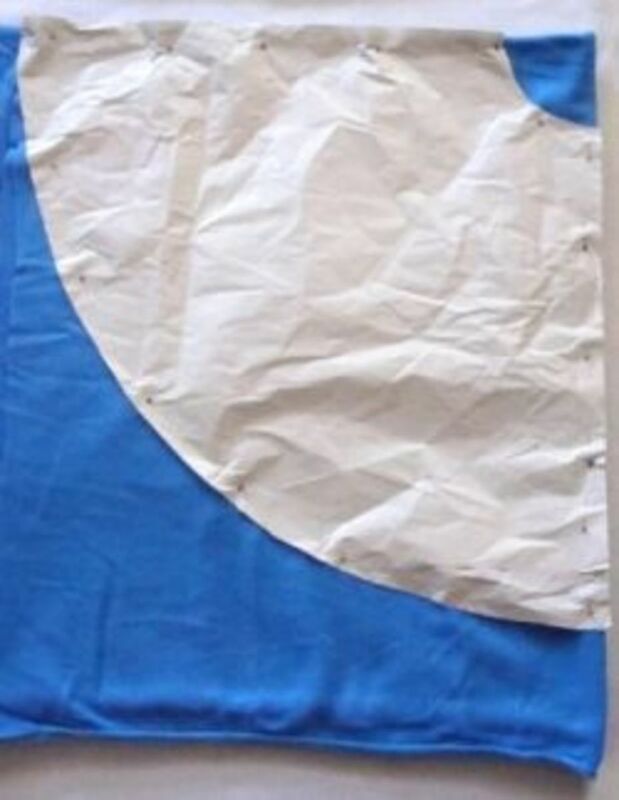 To top it off, you'll have a built in costume ready to go to most any costume party for years to come. If you don't have the time to make a skirt or would rather get a completed 50s poodle skirt costume, there are many costume and color choices to be found on Amazon. With the 4 piece adult outfit you get the poodle skirt, Bobby socks, chiffon scarf and cateye glasses. Circle skirts or swingy skirts became a popular style after the second world war replacing the dirndl style skirt. One has to wonder if the popularity of the style had anything to do with a more abundant era following the war. The swingy skirt is a very simple pattern to make and a flattering style for many different shapes, since the skirt fabric hides larger hips and excess torso weight. Both of these reasons contribute to the popularity of the skirt. As can be seen in this Swingy Skirt pattern, the skirt could quickly and easily be made from just two pieces of fabric and a zipper. With the basic design and a few calculations to ensure a correct fit, teenagers in the 1950s were able to fashion their own circle skirts. 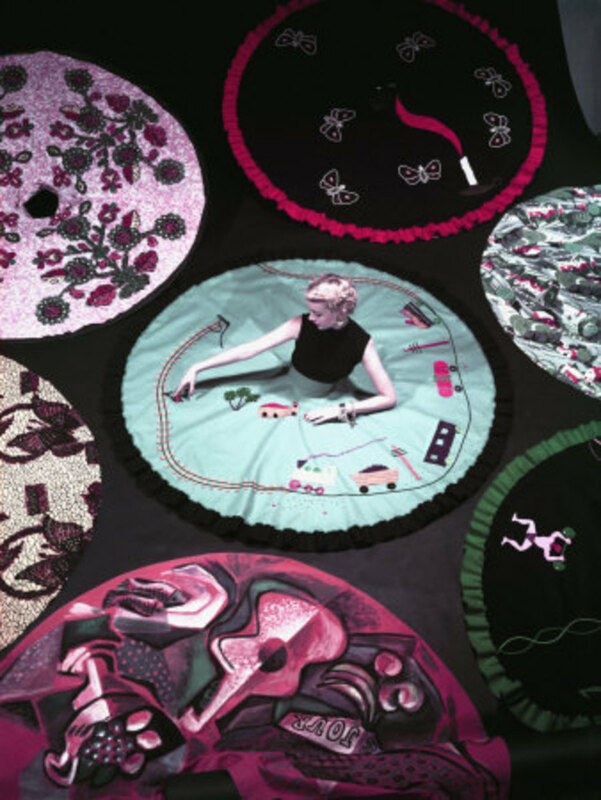 The circle skirts, especially embellished with poodles and other appliques, have become synonymous with the 1950s and top the list of items worn for 50s costumes and 50s style sock hop dances. Circle or Swingy Skirt pattern from libertygrace0. Used under Creative Commons license. The idea for an embellished fabric skirt is attributed to Juli Lynne Charlot, an actress who needed something to wear to a 1947 holiday party in Los Angeles. 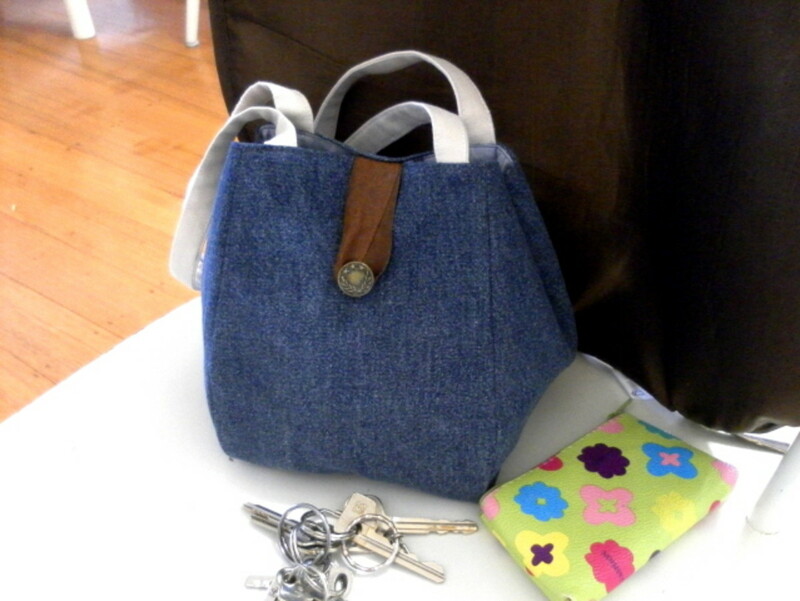 A self described non sewer, Juli Lynne Charlot needed something that was easy to make. I cut it out of felt, because I didn't know how to sew, and that was the only material I knew wide enough to cut a complete circle skirt without any seams. This simple circle skirt was cut from a piece of felt fabric with just a hole in the middle for the waist. Charlot decorated it with an appliqued whimsical Christmas tree. She sold the skirt a week later and orders started trickling in for her embellished, whimsical circle skirts. Charlot's whimsical story-telling novelty skirts proved to be a very popular with adults. 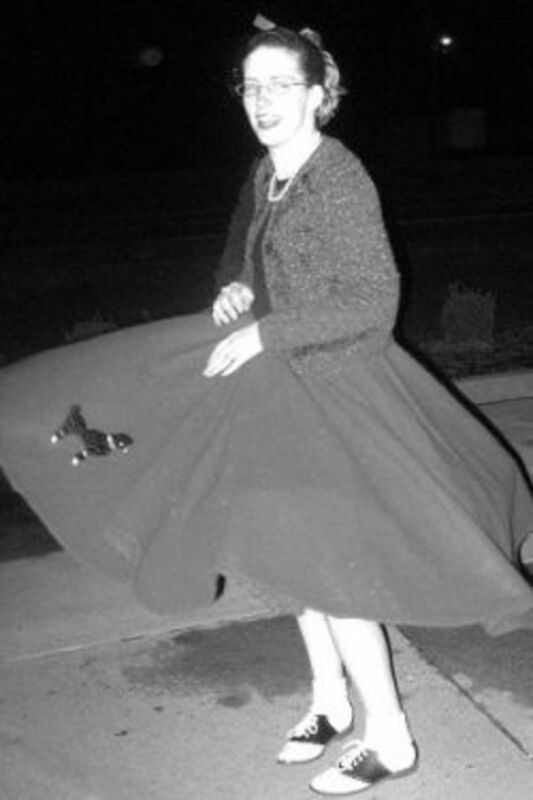 One embellished skirt style in particular, the poodle skirt, became a popular skirt with 1950s teens. Jaynie Van Roe of Here's Looking Like You Kid writes that the poodle skirt craze is "often attributed to those new rock n roll dances; teens found the big circle skirts enchanting while dancing." 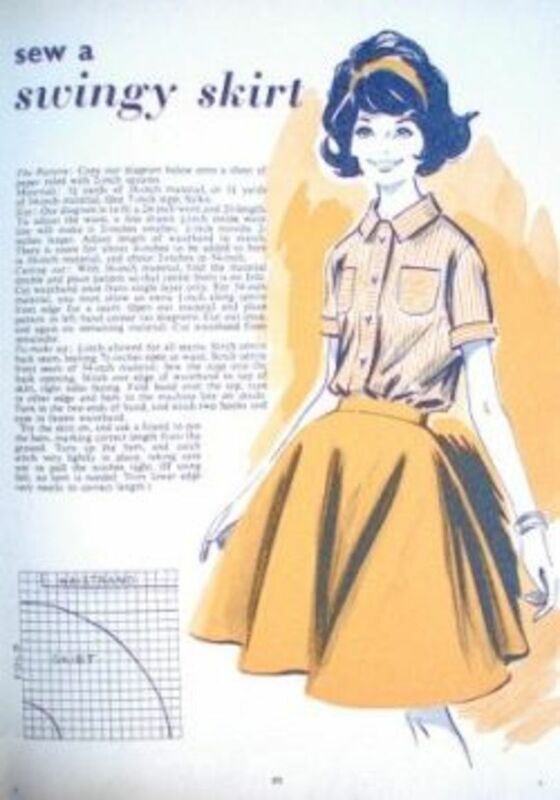 The poodle circle skirt was also popular with teens, because it was so easy to make. With just basic sewing skills a thrifty teen could make her own circle skirt with felt and sew on appliques. Worn with a petticoat, the teen staple poodle skirt was also more flirtatious than Charlot's whimsical novelty skirts which were worn by mothers and grandmothers. Jaynie Van Roe describes the poodle skirt as one of the first “too young for you” fashions. Poodle skirt by shortiestar3000. Used under Creative Commons license. You can find vintage poodle skirts along with reproductions of the poodle skirts on eBay. The only thing more fun than vintage & retro novelty print dresses are circle skirts - you may know them as "poodle skirts," even if the themes haven't all gone to the dogs. Continuing the story of the circle skirt from the first link. The story began with a simple skirt Juli Lynne Charlot made for a Christmas party and the skirts were quickly transformed into a multitude of novelty themes. Most vintage collectors know Charlot as the designer of some of the very best and most clever skirts to come out of the 1950s. 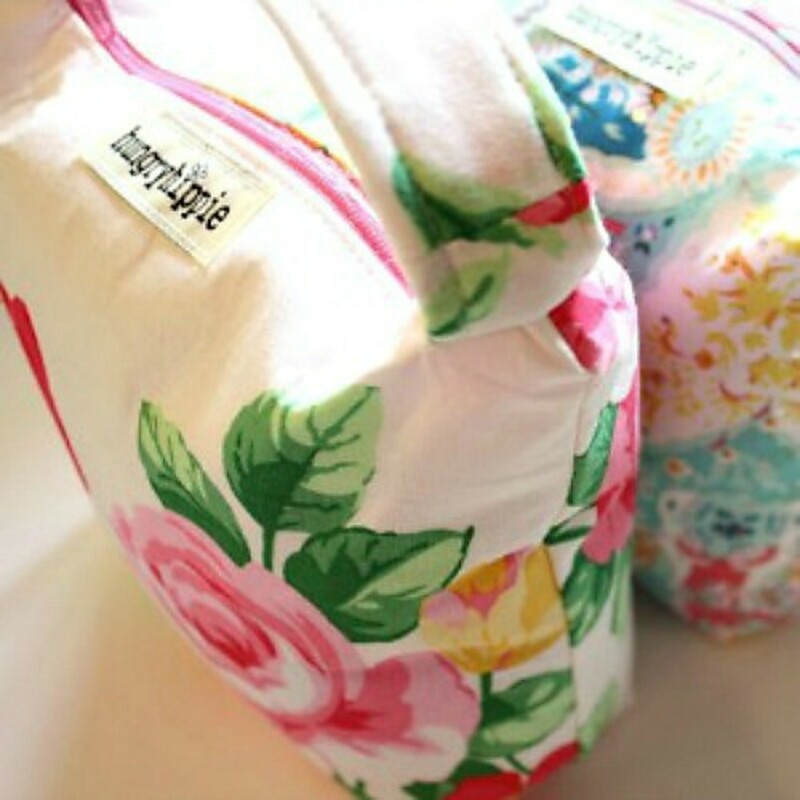 What do you think about making your own poodle skirt? This is a great blog post you did wonderful explaining how to make the skirt, however these images are copyrighted. They belong to Hip Hop 50's Shop, and you need to ask permission before using them. Hope you enjoyed the pattern. 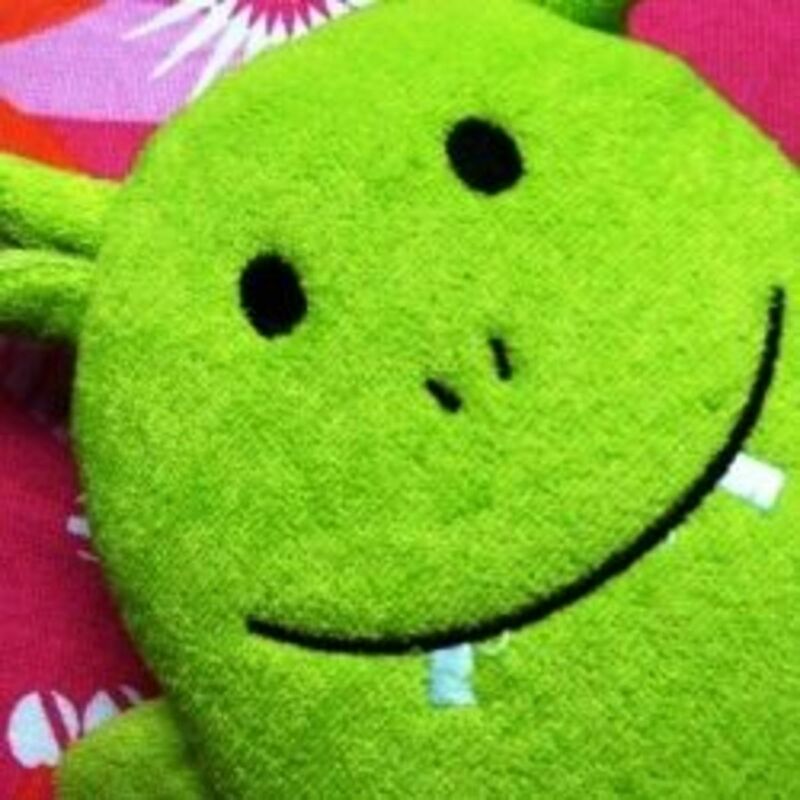 @delia-delia: Hope you enjoyed your trip down memory lane. I already had one years ago, so that ages me ;-) Great lens and memories! I can't believe all the pedi coats we use to wear...how on earth did we sit? @Vikk Simmons: Thank you. I didn't quite make this era, so I had to do a bit of research to figure out the patterns and the history. Wow, I grew up during this era so I really remember these. Great job. @getmoreinfo: Thank you. Maybe you'll be inspired to make your own. I love all the poodle skirt patterns, I still have my poodle skirt from college, it was for a retro dress-up day we had. I like vintage clothes very much, this is a nice lens on how to craft, sew and make a poodle skirt. @CrossCreations: Thanks. Now I know I've got a spot to turn to if I need to make one for my younger daughter. @anonymous: The Circle Skirt is really a fun and easy pattern. What an impressive tutorial about how to make a poodle skirt. Your work is always first rate, Doc. These are so useful for so many things.